PJ and Dream have been hoisting each other regularly since 2012. Both passionate about their unique and challenging solo projects, they’ve found it fun and refreshing to combine their complimentary super powers to make work as a duo. They’ve said many times over the years how much they enjoy the ease and balance of their working relationship. This dynamic, plus recent international recognition, has invigorated PJ and Dream’s dedication to working together. 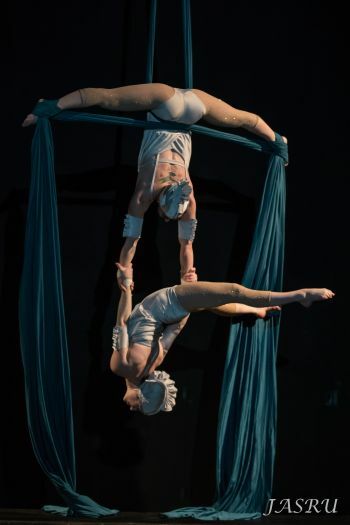 They were recently featured at the Western Australian Circus Festival in Karridale, Australia and My Circus Valentine in Bellingham, Washington.